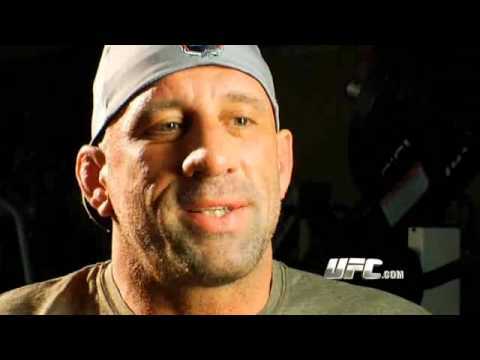 One day before the New Orleans Saints wrote a new page in their franchisea��s history, legendary fighter Mark Coleman, 45, indicated he would a�?probablya�? hang up the gloves after submitting to a rear-naked chokehold (1:09) from none other than Randy Couture, 46, in the second round of the Main Card Light Heavyweight bout at UFC 109. The two were originally supposed to face off during the adolescent years of Ultimate Fighting Championship in 1998 at UFC 17, but were unable to because of a Couture injury. After a ten-year hiatus from the Octagon, Coleman has lost two of three bouts. The latest bout featured an aggressive Couture, who was able to toss Coleman around the cage with little opposition in the first round. In the second, Couture continued the beating, eventually leading to the rear-naked choke that decided Colemana��s fate. The fight lasted just six minutes. Couture is now 18-10-0. Also in the Main Card were two Middleweight fights and two Welterweight fights a�� three of which won bonuses. Fighters winning bonuses were granted $60,000. In the Middleweight action, Brazilian Demian Maia faced off against the United Statesa�� own, Dan Miller. After a devastating 21-second knockout was dished out by Nate Marquardt in August, Maia looked to rebound hard against Miller. In the first round, Maia strategically used the stand-up game and his hands to send a message. Miller dropped his guard and ended up on his back, which gave Maia the upper hand early. Throughout the rest of the match, it was a battle of martial arts tactics, and punches grifulvin v overnight . and kicks were landed on both sides. In the final frame, Maia tried for submissions against the cage on Miller, but was slightly unsuccessful. The final decision came unanimously in favor of Maia: 30-27, 29-28, 29-28. In what was named the a�?Fight of the Night,a�? Nate Marquardt took on the outspoken Chael Sonnen. Sonnen, who had words for Marquardt before the middleweight title eliminator, used his natural wrestling maneuvers to control the upper-hand on Marquardt for the entire match. Despite Marquardta��s efforts, which resulted in a deep forehead cut for Sonnen, and a late pummeling in the closing seconds, Sonnen was still able to get the unanimous victory: 30-27, 30-27, 30-27. Sonnen now looks towards the winner of the Silva-Vitor at Aprila��s UFC 112, hoping that Silva wins for the sake of battling a�?the lower road.a�? In a more fast-paced bout, and what would be named a�?Submission of the Night,a�? welterweights Paulo Thiago (Brazil) and Mike Swick squared off in the Octagon. Thiago, now 13-1, was able to put away Swick very easily at 1:54 in Round 2 with a quick right-hand counter, which resulted in a lights-out Da��Arce choke. Check out the Countdown to UFC 109 Preview video below of the Thiago-Swick fight. Finally, the Knockout of the Night was awarded to welterweight Matt Serra. Serra battled Frank Trigg in what would result in a quick and easy knockout at 2:23 in first round. After a nasty right-handed blow that would knock Trigg to the ground, Serra mounted his opponent and finished him off with punches, forcing the fight to be called due to a knockout. Overall, Las Vegasa�� Mandalay Bay Events Center drew a crowd of 10,687, with a gate of $2.27 million. Mark “The Hammer” Coleman’s Team Hammer House has fallen on hard times as of late. A�However, Coleman hopes to turn the trend around as he meets another MMA great and fellow UFC Hall of Famer Randy “The Natural” Couture this weekend at UFC 109 Relentless. Team Hammer House is a MMA team operating out of Columbus, Ohio, focused on amateur wrestling, and made up of mostly former NCAA wrestlers. A�The team has cross training deals with notable fighters and camps such as Matt Serra, Pat Miletich, and Xtreme Couture MMA. Coleman, the founder of Team Hammer House, holds numerous accomplishments in the world of professional MMA. A�He is a UFC Hall online viagra without a prescriptuon. of Famer, the first ever UFC heavyweight champion, and the winner of the UFC 10 tournament, UFC 11 tournament, and 2000 Pride openweight GP tournament. A�Coleman, like many of his teammates at Hammer House, is a former NCAA collegiate wrestler. Team Hammer House holds a roster with several prominent fighters, including four UFC veterans: two of whom are former UFC champions. The team’s notable fighters include: Mark Coleman, Kevin Randleman, Wes Sims and Branden Lee Hinkle. A�Phil Baroni, a UFC, Pride and Strikeforce veteran, is a former member of Team Hammer House. Former UFC heavyweight champion Kevin Randleman is a senior member of A�Team Hammer House. Randleman, a former collegiate wrestler and two time Division I NCAA champion, was defeated by Mike Whitehead via unanimous decision in June of 2009 during his Strikeforce debut at Strikeforce: Lawler vs. Shields. A�The fight marked his first fight in over a year due to a shoulder injury, as well as his first fight in America in nearly seven years. A�In his most recent fight Randleman was defeated by Stanislav Nedkov via split decision at World Victory Road Presents: Sengoku 11. Wes Sims, three-fight UFC veteran A�and The Ultimate Fighter: Heavyweights cast member, recently fought Bobby Lashley on the main card of Strikeforce: Miami. Sims was stopped in the first round via technical knock out (2:06). Branden Lee Hinkle, three-fight UFC veteran and NCAA Division II national wrestling champion, was stopped by Chris Tuchscherer in round 4 (4:43) of his most recent fight at SNMMA: Beatdown at Four Bears. Hinkle has lost four of his last five fights after going undefeated in his previous nine matches. Coleman scored a unanimous decision victory over Stephan Bonner in his last fight at UFC 100 after falling to Mauricio “Shogun” Rua via technical knock out in the third round (4:36) at UFC93. A�HeA�is currently training with Team Hammer House in preparation for his match with Randy Couture this Saturday Feb. 6 at the Mandalay Bay Events Center in Las Vegas, NV. Live pay-per-view coverage of UFC 109 will begin at 10 p.m. EST.